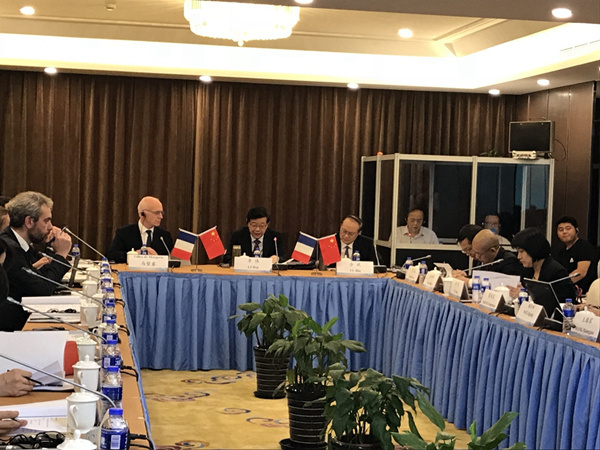 The 4th China-France Round Table Conference, hosted by the Development Research Center of the State Council (DRC) and the Commissariat Général à la Stratégie et à la Prospective (CGSP), was held in Shanghai from July 2 to 3. The theme of the symposium was sustainable development and energy transformation. 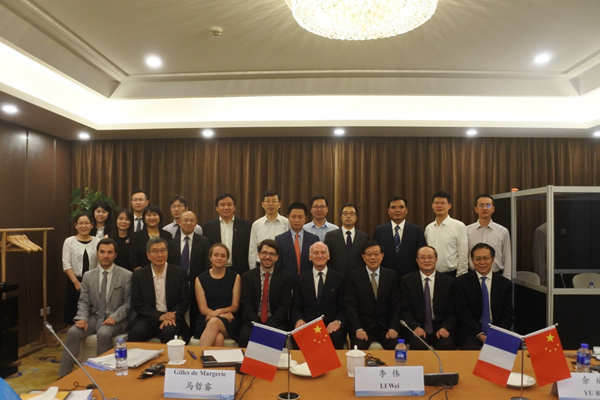 Representatives of the Chinese and French governments, think tanks and entrepreneurs conducted in-depth discussions on two topics: green finance and carbon markets, new energy vehicles and autopilot. Li Wei, President of the DRC, delivered a keynote speech at the conference. 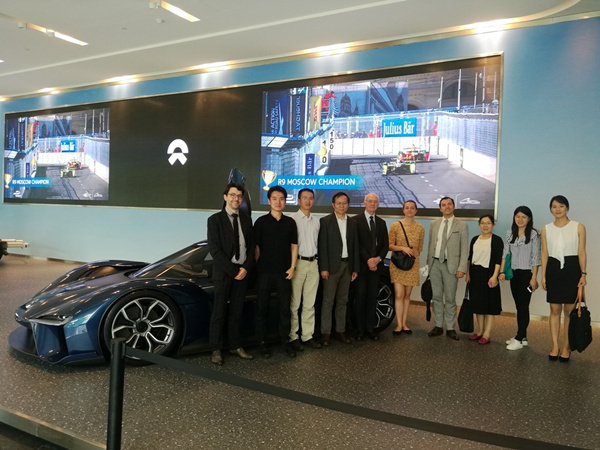 On July 3, a CGSP delegation went to the headquarters of NIO automobile company to learn about innovation and development of China's new energy and smart cars. Li emphasized that climate change has become one of the most serious challenges facing sustainable development. Under the framework of the Paris Agreement, low carbon has become a major trend in global economic development. Achieving green development requires a reasonable market guidance mechanism to ensure that emission reduction and economic efficiency are improved. The automobile industry has great potential for energy conservation and emission reduction, and should make full use of technological innovation to promote the transformation of the automobile industry to green and low carbon development, Li said. There is huge space for cooperation between China and France in the field of green development. The two sides should strengthen pragmatic cooperation in energy, automobiles and finance to achieve win-win results, Li added. Experts from the CGSP said that China and France have much in common, and both countries have made important contributions to the promotion and implementation of the Paris Agreement. To promote green development, governments should play a leading role, effectively use diversified policies to promote technological innovation and establish a reasonable market guidance mechanism to ensure the realization of emission reduction targets, the experts said. Both sides agreed that green and low carbon is an inevitable trend in future economic development, especially in the transportation sector. The coordinated development of shared vehicles, new energy vehicles and smart cars will be the core direction leading the transformation of transportation. The two sides expressed their willingness to further strengthen inter-agency exchanges and cooperation, and to learn from and support each other. They reached a preliminary consensus on the theme of the Fifth China-France Round Table Conference and proposed to discuss "aging population and its impact."